Free transportation resource workshop designed specifically for seniors and people with disabilities to learn more about their options for getting from A to B throughout San Luis Obispo County. Tea and snacks provided! 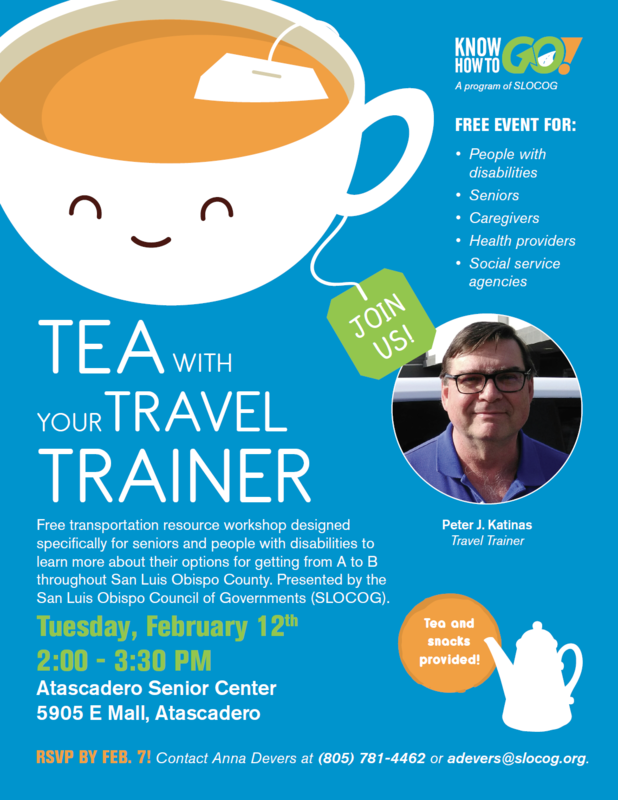 Please RSVP by February 7th to Anna Devers: 805-781-4462 or adevers@slocog.org. Presented by the San Luis Obispo Council of Governments (SLOCOG).